Prototype: Electric Railcar ET 194 (ex 895 LAG) of the Deutsche Reichsbahn (DRG). Bottle Green color. Operating number ET 194 11. A car with a twelve pots and brakeman of Kali-Chemie AG Berlin, in service at the Deutsche Reichsbahn. A boxcar Ghs Opole, welded design without hand brakes and without brakeman. Model: ET 194 mfx digital decoder and extensive sound functions. Controlled high efficiency propulsion. Two axles powered. Traction tires. Direction change over dual headlights work in conventional operation, digitally. Cab lighting can be controlled digitally. Maintenance-free, warm white LEDs (LED). Car with a detailed, filigree Fachwerksverstrebung loaded with acid containers. Boxcar Opole without brakeman and handbrake. Total length over the buffers approximately 31 cm. Train Set with an ET 194 Powered Freight Rail Car In 1930 the Lokalbahn Aktien-Gesellschaft (LAG) München / Munich Local Railroad, Inc. (LAG) treated itself to a small powered freight rail car for the freight service on its 5.206 km / 3.254 mile long electrified line (550 volts DC) Türkheim – Bad Wörishofen. This LAG 895 was built by MAN/SSW from an old baggage car whereby the two wheel sets were each driven by a self-cooled DC series motor. There was a large baggage area between the two engineer's cabs, and it was accessible from both sides by a sliding door. Starting resistors and the compressed air equipment were installed in two boxes in the load area. The route Türkheim – Bad Wörishofen was opened on August 15, 1896 by the privately owned Localbahn Actiengesellschaft Wörishofen / Wörishofen Local Railroad Company and was among the first electrified railroads in Germany. The famous priest and hydro therapist Sebastian Kneipp initiated and promoted the railroad. He was hoping for a boom for this health resort by connecting Wörishofen to the large, wide world of railroading. The Wörishofen Local Railroad Company was dissolved as early as 1905 and the railroad came under the wings of the Munich Local Railroad, Inc. (LAG). The financially crippled LAG was nationalized on August 1, 1938 and the Bad Wörishofen route with its motive power and rolling stock thereby became part of the German State Railroad (DRG). With the outbreak of World War II, electric operations on this route had to be halted on September 12, 1939 due to the neighboring airport. The former LAG 895 (starting in 1940/41: ET 194 11) thereby lost its reason for existence and was put in storage. In 1943, it went to the former LAG route Bad Aibling – Feilnbach. It remained there but also in storage, and was finally scrapped in 1947. Naturally, LAG 895 also served as a powered rail car to pull other cars, and thus the acid container car for the firm Kali-Chemie AG Berlin and a type "Ghs Oppeln" boxcar form an absolutely prototypical consist. The pot container cars for the transport of (dangerous) chemicals were as a rule equipped with twelve earthenware pot containers, each good for 1,000 liters / 264.17 gallons, which soon gave them the nickname "Twelve Apostles Cars". The freight car type "Oppeln" owed its existence to the DRG's call for higher speeds in less-than-carload-lot service. The long wheelbase of 6,000 mm / 19 feet 8-1/4 inches allowed a reliable maximum speed of 90 km/h / 56 mph for the "Oppeln". The newly applied welding technology with its associated savings in weight led to an increase in the load weight. Twenty eight thousand of this freight car type were built by 1943. A notable characteristic of the type was the high quality truss rod frame necessary due to the long wheelbase. Model: mfx digital decoder and extensive sound functions. 4 axles powered. Traction tires. Ride The triple headlights and 2 red tail lights conventional operation and can be controlled digitally. Lighting with warm white and red LEDs (LED). Length over the buffers 23.9 cm. Car sets to go with this steam freight locomotive can be found under item numbers 48680, 48688 and 48689. Prototype: Electric locomotive Re 482 (1st production run) of the Swiss Federal Railways (SBB), Cargo division. Execution of the first production run with 4 pantographs. Model: mfx digital decoder and extensive sound functions. 4 axles powered through cardan shafts. Traction tires. Ride The triple headlights and 2 red tail lights conventional operation and can be controlled digitally. Maintenance-free, warm white LEDs (LED). 4 mechanically functional pantograph. Length over the buffers 21.7 cm. Prototype: Swiss Federal Railways (SBB) class Eb 3/5 "Habersack" steam tank locomotive. Road number 5807. The locomotive looks as it did at the end of the Fifties. Model: The locomotive has an mfx+ digital decoder and extensive sound functions. It also has controlled high-efficiency propulsion. 3 axles powered. Traction tires. The triple headlights change over with the direction of travel, will work in conventional operation, and can be controlled digitally. The locomotive has separately applied rail clearance devices. It also has separately applied metal grab irons and pipes. Piston rod protection sleeves and brake hoses are included. Length over the buffers 14.6 cm / 5-3/4". Prototype: German Federal Railroad (DB) class V 188 heavy double diesel electric locomotive. Version in a crimson basic paint scheme. Road number V 188 002 a/b. The locomotive looks as it did around 1964. Model: The locomotive has an mfx+ digital decoder and extensive sound functions. It also has controlled high-efficiency propulsion. Both locomotives have a motor. 4 axles powered. Traction tires. The triple headlights and dual red marker lights change over with the direction of travel, will work in conventional operation, and can be controlled digitally. The headlights at Locomotive End 2 and 1 can be turned off separately in digital operation. Maintenance-free warm white and red LEDs are used for the lighting. The two locomotives are permanently coupled together. Length over the buffers 25.8 cm / 10-1/8". This model is being produced in a one-time series only for the Märklin Dealer Initiative (MHI). 5th and last locomotive of a series of 5 locomotives with authentic weathering. Double locomotive includes 2 motors. Locomotive engineer figure in Cab 1.
mfx+ digital decoder and extensive operating and sound functions included. For even more operating enjoyment in the Märklin "World of Operation"
This model is being produced in a one-time series only for the Märklin Dealer Initiative (MHI). The fifth locomotive of a series of 5 locomotives with traces of authentic weathering. 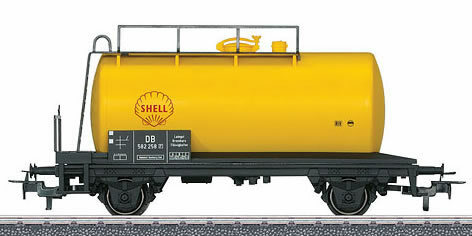 A freight car set to go with this locomotive is being produced under item number 47367, also exclusively for the MHI in the Märklin assortment. Prototype: German Federal Railroad (DB) class E 50 heavy freight locomotive. Chrome oxide green basic paint scheme. The largest class of the standard design electric locomotives from the new construction program of the Fifties. Includes double lamps, multiple forced air vents, and a continuous rain gutter. The locomotive looks as it did around 1960. Model: The locomotive has an mfx digital decoder and extensive sound functions. It also has controlled high-efficiency propulsion, centrally mounted. 4 axles powered by means of cardan shafts. Traction tires. The triple headlights and dual red marker lights change over with the direction of travel, will work in conventional operation, and can be controlled digitally. The headlights at Locomotive End 2 and 1 can be turned off separately in digital operation. When the headlights are turned off at both ends, the double "A" light function is on. Maintenance-free warm white and red LEDs are used for the lighting. The locomotive has separately applied metal grab irons on the sides and ends. The engineer's cabs have interior details in relief. Brake hoses and coupler hoses are included as detail parts that can be mounted on the locomotive. Length over the buffers 22.4 cm / 8-13/16". Prototype: Class 185.4 electric locomotive for the firm Raildox GmbH & Co. KG, Erfurt, Germany. Dual system locomotive from the TRAXX family of locomotives. Road number 185 409-0. The locomotive looks as it did in 2015. Model: The locomotive has an mfx+ digital decoder with extensive sound functions. It has the sound of buffer-to-buffer (Operating Sound 1) and the sound of coupling and uncoupling (Operating Sound 2). The locomotive has controlled, high-efficiency propulsion with a flywheel, centrally mounted. 4 powered through cardan shafts. Traction tires. The triple headlights and dual red marker lights change over with the direction of travel, will work in conventional operation, and can be controlled digitally. The headlights at Locomotive End 2 and 1 can be turned off separately in digital operation. When the switching range is on, then the locomotive has a double "A" light function at both ends. Maintenance-free warm white and red LEDs are used for the lighting. Length over the buffers 21.7 cm / 8-1/2". Car sets to go with this steam freight locomotive can be found under item numbers 47090 and 47091. Prototype: Class 01.5 steam express locomotive with a coal tender. GDR German State Railroad (DR/GDR) "Reko" version as it currently looks as a museum locomotive for the Zollernbahn Railroad Enthusiasts (EFZ), Rottweil, Germany. 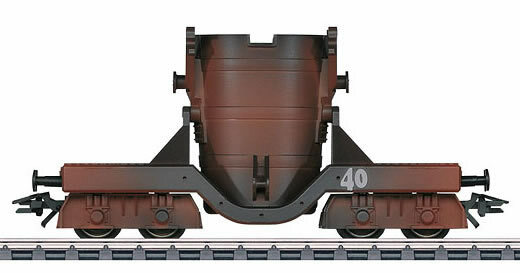 Includes spoked wheels, type 2´2´T34 standard design coal tender, special design Witte smoke deflectors for the class 01.5, continuous dome streamlining, and inductive magnets on both sides. Road number 01 519. The locomotive looks as it currently does in 2016. Model: The locomotive has an mfx+ digital decoder and extensive sound functions. It also has controlled high-efficiency propulsion with a flywheel, mounted in the boiler. 3 axles powered. Traction tires. The locomotive and tender are constructed mostly of metal. The 7226 smoke unit can be installed in the locomotive. The triple headlights change over with the direction of travel. They and the smoke unit that can be installed in the locomotive will work in conventional operation and can be controlled digitally. The cab lights can also be controlled digitally. Maintenance-free warm white LEDs are used for the lighting. There is a close coupling with a guide mechanism between the locomotive and tender. There is a close coupler with an NEM pocket and a guide mechanism on the tender. The minimum radius for operation is 360 mm / 14-3/16". Protective sleeves for the piston rods and brake hoses are included as detail parts. Version as a museum locomotive for the Zollerbahn Railroad Enthusiasts (EFZ), Rottweil, Germany. mfx+ World of Operation decoder included. Prototype: Express locomotive class 101 of the Deutsche Bahn AG (DB AG). Traffic Red basic paint. Lok operating number 101105-5. Model: With a new mfx digital decoder + and extensive sound functions. Controlled high efficiency propulsion. 2 axles powered. Traction tires. Ride The triple headlights and 2 red tail lights conventional operation and can be controlled digitally. Spotlight separately switchable. Top light on Lokseite 2 and 1 separately digitally switched off. If peak signal is switched off on both Lokseiten, then both sides of the function Double-A light. The headlights are maintenance-free warm white and red LEDs (LED). Length over the buffers 21.9 cm. Warm white and red LEDs for lighting that change over with the direction of travel. Prototype: Privately owned car painted and lettered for German Shell, Inc..
Model: The car has a brakemen's platform and Relex couplers. Lenght over buffers 11.5 cm / 4-1/2". Prototype: German Federal Railways (DB) type Omm 52 gondola. Model: The car is loaded with coal. Length over buffers 11.5 cm / 4-1/2". DC wheel set E700580. Model: The car is loaded with scrap iron. Length over buffers 11.5 cm / 4-1/2". DC wheel set E700580. Model: Length over buffers 10.7 cm / 4-1/4". DC wheel set E700580. Prototype: Special car for transporting slag. Privately owned car based on a prototype from the steel industry. Model: The frame is constructed of die-cast metal. The ladle can be tipped to the side and is removable. The car has a paint scheme with authentic weathering. A sheet of adhesive labels for different car numbers is included. Length over the buffers 10.8 cm / 4-1/4". Set of decals included for custom transport trains for the coal and steel industry. Prototype: Special car for transporting molten crude iron. Privately owned car based on a prototype from the steel industry. Model: The frame is constructed of die-cast metal. The ladle can be tipped to the side and is removable. The car has a paint scheme with authentic weathering. A sheet of adhesive labels for different car numbers is included. Length over the buffers 10.2 cm / 4". Prototype: Three German Railroad, Inc. (DB AG) type Sgnss container transport cars. Each car loaded with 3 WoodTainer XXL containers from the Austrian firm Innofreight Speditions GmbH, A-8600 Bruck an der Mur, Austria. High capacity containers used to transport sand for the construction of the high-speed line Wendlingen - Ulm. Model: The cars have type Y 25 trucks. The flat cars have prototypical partially open floors constructed of metal with striking fish belly style side sills. Each flat car is loaded with 3 removable containers. All of the flat cars have different car numbers and the containers have different registration numbers. They are each individually packaged. There is also a master package. Total length over the buffers 68.5 cm / 27". DC wheel set E700580. All of the cars include different car numbers and all of the containers have different registration numbers. A similar set, but with entirely different car and container numbers can be found under item 47091 (below). The locomotives to go with these car sets can be found under Summer items 36430 and 37857. A similar set, but with entirely different car and container numbers can be found under item 47090 (above). The locomotives to go with these car sets can be found under Summer items 36430 and 37857. Prototype: 7 different type freight cars for the German Federal Railroad (DB) and the Italian State Railways (FS). 2 type Gms 30 "Oppeln" freight cars, without a brakeman's platform or a brakeman's cab. 1 type Gmhs 30 "Oppeln" freight car, with a brakeman's platform but without a brakeman's cab. 1 type Gl 22 "Dresden" freight car and 1 type Glt 23 "Dresden" freight car. 2 type F freight car with peaked roofs. All of the cars look as they did at the start of the Sixties. 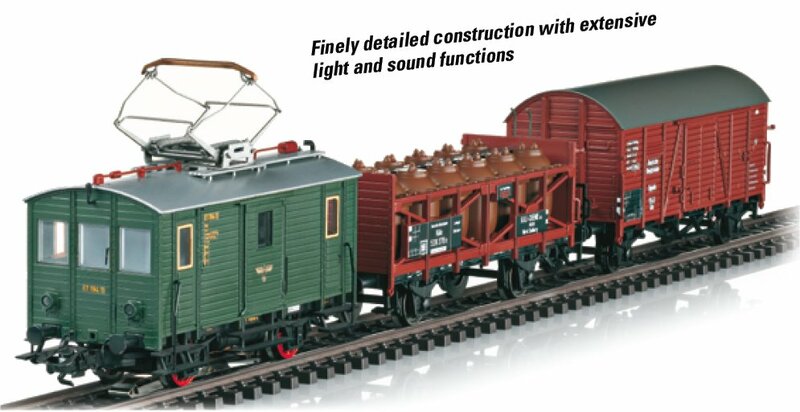 Model: The "Dresden" boxcar comes as one car without a suggested end wall door and as one car with a low end wall door, each car with truss rods and additional step boards. All of the cars are weathered authentically. All of the cars have different car numbers, and come individually packaged and marked. Total length over the buffers 83.8 cm / 33". DC wheel set per freight car E700580. All of the cars include authentic weathering. All of the cars include new car numbers. The class V 188 goes well with the 47367 car set. 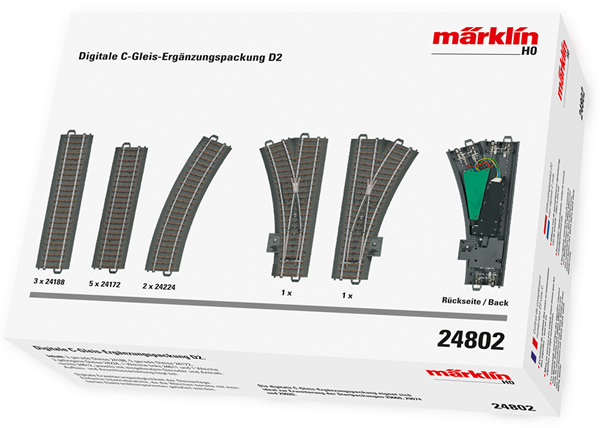 It is also being offered exclusively for the MHI in the Märklin assortment as item number 37285. Prototype: 2-axle tank car with a hand brake platform and an end ladder, for transporting printing ink. Privately owned car painted and lettered for the Märklin Magazin, Göppingen, Germany, used on the Märklin Railroad (MB). The car looks as it did around 1989. Model: The car has a brakeman's platform with a ladder and a filling platform. The partially open car frame is reproduced. Length over the buffers 10.0 cm / 3-15/16". DC wheel set E32376004. One-time series. 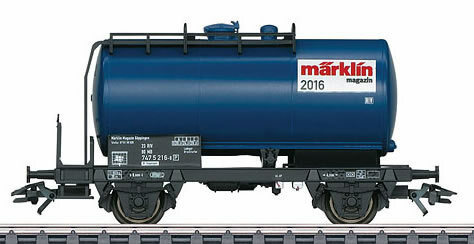 Märklin Magazin Annual Car for 2016. Prototype: German Federal Railroad (DB) type Ssym 46 heavy-duty flat car for transporting heavy freight. Model: The car's superstructure is constructed of metal. The car has "I" profile steel beams as a load. Stakes that can be installed on the car are included. Length over the buffers 15.2 cm / 6". DC wheel set E700580. Model: The car's superstructure is constructed of metal. The car has a continuous casting. Stakes that can be installed on the car are included. Length over the buffers 15.2 cm / 6". DC wheel set E700580. Model: The car's superstructure is constructed of metal. The car has "I" profile steel slabs as a load. Stakes that can be installed on the car are included. Length over the buffers 15.2 cm / 6". DC wheel set E700580. Contents: 3 no. 24188 straight track, 5 no. 24172 straight track, 2 no. 24224 curved track, 1 no. 24611 left turnout and 1 no. 24612 right turnout, each with a built-in decoder and mechanism. Instructions for setup and wiring are included. Digital expansion possibility for a track layout. Easy to incorporate in a layout, since the turnouts come with electronic components already installed. Performance booster for large digitally controlled layouts. This unit is multi-protocol capable in conjunction with the 60216, 60226, and 60213-60215 Central Station. Connections are made by means of a 7-conductor data bus line directly to the 60213-60215 Central Station. Several Boosters can be used in a system by means of the 60125 Terminal. The Booster automatically registers itself in the 60216, 60226, and 60213-60215 Central Station. The status display is done with an LED on the Booster and graphically in the display window for the Central Station. 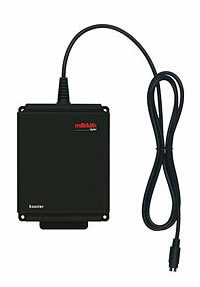 When using the 60061 switched mode power pack there is a maximum power output of 58 VA and a maximum current of 3 amps (with 60216, 60226 or 60215 with the 60101 switched mode power pack there is a maximum current of 5 amps, recommended only for 1 Gauge. Please note that the wire size must be 0.5 square millimeters / 20 gauge or larger!). Dimensions 150 mm x 110 mm x 80 mm / 5-7/8“ x 4-5/16” x 3-1/8“. Note: The 60175 Booster is designed for operation only in conjunction wit the 60126, 602126 and 60213, 60214 and 60215 Central Stations. Prototype: Type Eanos high side gondola, European standard design. Used to transport wood chips. Model: This car is completely new tooling. The car body is made of plastic finely detailed and imprinted and is prototypically lettered. The car is lightly weathered. It ahs type Y-25 trucks with close coupler hooks. The car has a load insert of "wood chips". . Length over the buffers approximately 84 mm / 3-5/16". Prototype: Car Set with 3 wagons of type Sdgkms 707 of DB Schenker Rail. Designed for transporting truck trailers. Model: Suspension of pocket wagons each metal. All of the cars each loaded with a semi-trailer of the forwarding "Willi Betz". Fine paint scheme and lettering. All cars and semi-trailer with different running numbers. Built close coupling hook. Total length over the buffers 234 mm. Prototype: German Federal Railroad (DB) type ))tz 43 hopper cars, weathered. Model: These cars are completely new tooling. Car bodies are made of plastic, prototypically lettered and weathered. The cars have close coupler hooks. Length over the buffers approximately 235mm / 9-1/4". Model: With 5-pole motor. Both trucks with all axles powered. The headlights are maintenance-free warm white / red LEDs. Length over the buffers 60 mm.